Yangon, Myanmar -- A court in Myanmar on Friday rejected the appeal of two Reuters journalists convicted of violating the country's Official Secrets Act during their reporting on the country's crackdown on Rohingya Muslims, and maintained the seven-year prison terms they were sentenced to last year. Judge Aung Naing said in his ruling that lawyers for the men failed to submit enough evidence to prove their innocence. 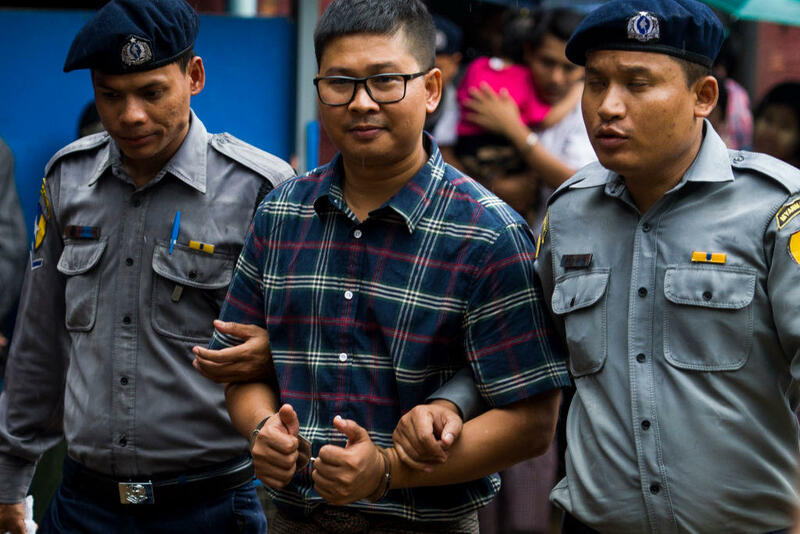 The conviction of Wa Lone and Kyaw Soe Oo has drawn worldwide attention as an example of how democratic reforms in long-isolated Myanmar have stalled under the civilian government of Nobel Peace laureate Aung San Suu Kyi, which took power in 2016. Though the military, which ruled the country for a half-century, maintains control of several key ministries, Suu Kyi's rise to government had raised hopes for an accelerated transition to full democracy and her stance on the Rohingya crisis has disappointed many former admirers. In a statement sent after the sentences were handed down, the U.S. Embassy in Myanmar called them "deeply troubling for all who support press freedom and the transition toward democracy in Myanmar."